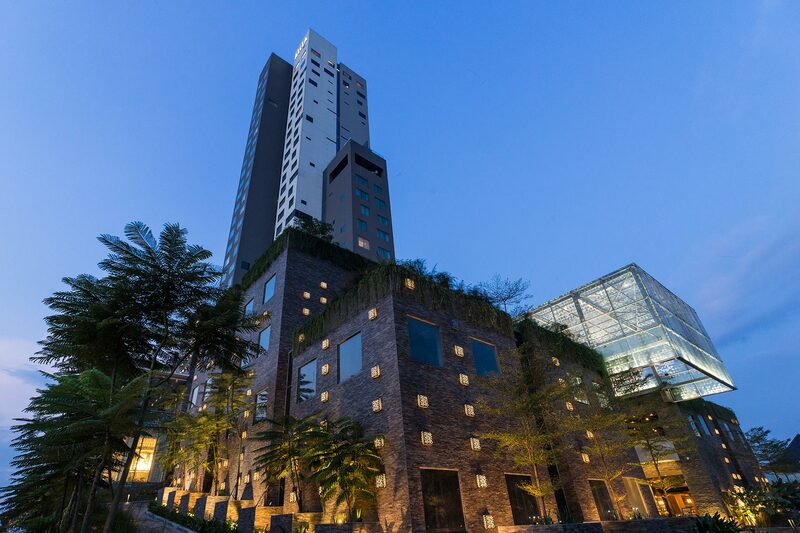 Rising above Solo's main commercial avenue, Alila Solo offers a luxurious stay in this heritage-steeped city, distinguished by bespoke service and modern style. Plan 7 days in advance to enjoy 10% savings on your stay. Rate includes Wi-Fi Internet access, access to Alila gym and more. Plan 7 days in advance to enjoy 10% savings on your stay. Rate includes daily breakfast and more. The Flexible Rate allows free cancellation and amendments. Rate includes Wi-Fi Internet access, access to Alila gym and more. From starting your day right with a hearty breakfast, to having your suit pressed to perfection, and being chauffeured in comfort to your destination, you can look forward to a stay that is not only more productive, but infinitely more enjoyable too. Elevate your stay in the city with an overnight package that includes complimentary room upgrade, breakfast and a couple’s spa treatment. Surakarta, or Solo, as it is better known, is the older of the two royal capitals of Central Java. Together with Yogyakarta, it was the heart of ancient Javanese kingdoms, home to two royal houses, steeped in court rituals and rich traditions of dance, music and art. Alila Solo redefines the city skyline with its innovative, avant-garde design, and facilities that are second to none in the region, including the city's largest event space, and the highest rooftop bar and executive lounge in Central Java. Explore classical Javanese dance at the Soerya Soemirat Dance Workshop, located at the Prangwedanan Hall of Mangkunegara Palace in Solo. Adjacent to Kraton Kasunanan in central Solo, Kampung Kauman features small shops and stately homes with architectural influences from Holland, Java and China. Just before the heat descends on the city, make a start for Mount Lawu where, amid fresh air and beautiful scenery, you can see the cascading waters of Tawangmangu waterfall followed by a visit to the dramatic and photogenic Javanese temples, Candi Sukuh and Candi Cetho. Start off early around 8.00am and head to Pasar Gede, which literally means big market. Located in the Chinese district of Solo, it is the largest traditional market in the city, brimming with the largest selection of fruits and snacks. Interactive learning experiences to understand the cultural roots of the Javanese and their daily life. Cherish your once-in-a-lifetime moment with a wedding celebration that is as unique and individual as you. Alila Solo offers a versatile range of inspiring spaces for meetings and corporate events. Our main restaurant enchants palates with a varied menu that bursts with the freshness of farm-to-table ingredients. Unwind in the sky at Agra, the highest rooftop lounge in Central Java. Relish tapas, cocktails and spectacular views. Enjoy light bites, thirst-quenchers and our sun 'butler' service while chilling by the pool. Indulge in bespoke spa treatments made from natural ingredients, delivered with an expert nurturing touch. Alila Solo is strongly committed to social, cultural and environmental responsibilities, which we regard as essential for sustainable business.